Two different rooms in the Tower Building of the Menninger Clinic are pictured in these black and white photographs. Karl Menninger, M.D. 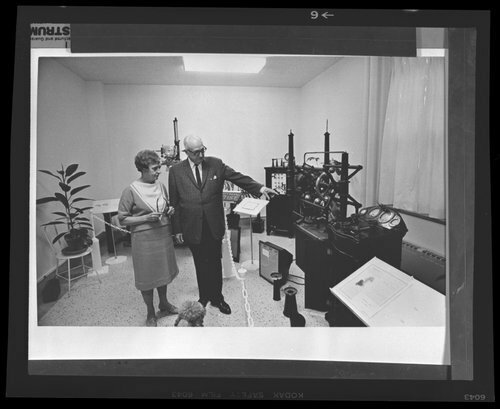 at the Menninger Museum in Topeka, Kansas - Jeanetta Lyle Menninger and Dr. Karl are seen here in the x-ray room of the Menninger Museum.